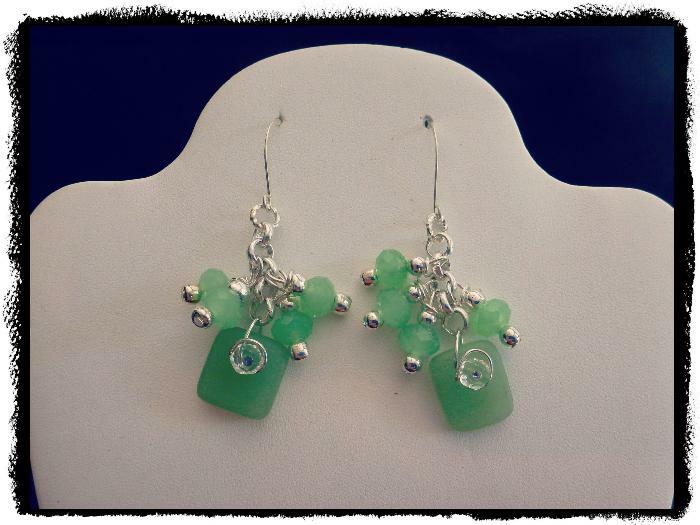 These beautiful green stone chandelier earrings were handmade with love. As you can see the green stone is a beautiful quality and would be perfect for the lady of your life. Please let me know if you have any questions. All proceeds go toward our non-profit Art for the HeArt and Soul.